After faking his own death, a Mossad assassin is at the center of international political intrigue. 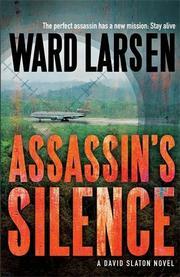 In this third novel in his David Slaton series, one-time Air Force pilot and law enforcement officer Larsen (Passenger 19, 2016, etc.) has plenty of action in store for the seemingly retired assassin. To protect the life of his civilian wife and their son, Slaton faked his death and created an anonymous existence as a stonemason on the island of Malta. After being lulled into a false sense of security on his Mediterranean island refuge, Slaton narrowly escapes an attempt on his life. Knowing that his unidentified enemies know his location, Slaton is now on the run. However, with his training and temperament, Slaton is not a man who will simply hide. He's a man who needs answers, and vengeance. The quest for both will take him across Europe and the Middle East, where his propensity for violent encounters raises the suspicions of an up-and-coming CIA intelligence officer. Moreover, a mysterious plane crash off the coast of Brazil catches the attention of airline crash investigator Jammer Davis (a character created by Larsen in another series), who brings it to the attention of the CIA. Intelligence officers at the CIA begin to suspect that this crash is connected to Slaton’s trail of violence. As a consequence, questions emerge. How is the crash connected to Slaton? Will he find out who's gunning for him? Can the former assassin ever find peace? These questions dangle in front of the reader and keep the pages turning. An engrossing narrative filled with a lively cast of characters.